I recently went through a couple of beauty products and I thought I would share considering that I have already replenished a few. Now, this isn't a familiar trend for me because I am always trying out new products in hopes of discovering the HG (holy grail) product that will tame my frizzy curls, or clear my face after a moderate breakout, etc. etc. I'm not sure if I would consider these my absolute beauty necessities, but I must say I'm satisfied. I don't know if this is just me coming to terms with my 'imperfections' or just laziness but whatever the reason, these products have been working for me and maybe they will work for you! Don't be fooled with Bio-Oil's post-pregnancy focused advertisements. While I probably should be using it on my stretch-marks, Bio-Oil has done wonders on my face soothing my redness and evening out my skin tone. I had also suffered from a dog bite from a chihuahua to the face a year ago (tragic), giving me a clean, shallow cut on my upper lip which eventually healed but left a fine scar. While the scar wasn't very noticeable it, of course, really bothered me. When I was researching remedies around the web, many suggested vitamin E oil, which Bio-Oil contains along with vitamin A. I had gone through a 125ml bottle in roughly two and a half months, and not only was the scar less visible, but I noticed that a lot of redness that surrounded my nose and cheeks had been DRASTICALLY reduced. This was pretty shocking for me, because I have extremely sensitive skin, and I had already come to terms with having to deal with my redness...so needless to say I am very happy with this product. 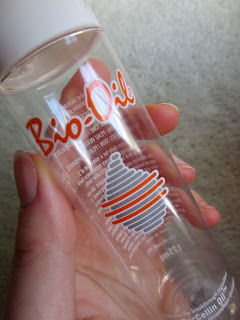 I had gone off bio-oil for a month after running out and after using it again I immediately noticed my redness dwindling...that and I realised how much I missed its soothing, unique smell of chamomile, lavender and rosemary. A 125ml bottle retails for around $20 CAD and should be available at your local drugstore or Wal-mart. North America has hopped on the BB cream bandwagon, with a bunch of familiar brands now sporting their own concoction. If you're not sure what BB cream is, I'll let you do the research because there are plenty of other sites that go into detail. The Etude House BB Magic Cream will probably only be familiar to a few because it is a Korean brand. I was in South Korea for Christmas and New Years, and one thing on my to do list was to get me some BB cream. This BB cream was my favourite. I picked it up on a whim as I was waiting to board the plane back to Canada and looking to spend my remaining Korean won. 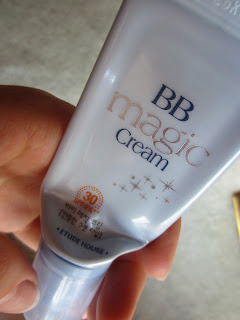 This BB cream has very very light coverage, and is meant for sensitive skin, and that is why I like it. While it gives minimal coverage, it evens out my skin tone and provides an SPF of 30, much like a tinted moisturiser...and it smells amazing. I highly recommend this BB cream if you're looking for an everyday natural makeup and if your skin doesn't need a lot of coverage. You can easily find it on eBay for an affordable price. I bought mine for $12 CAD. 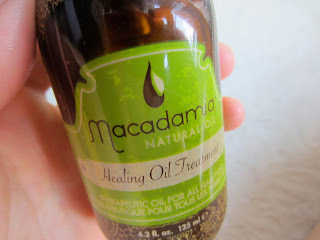 The Macadamia Natural Oil hair care line has been all over youtube, so I decided to give it a try and purchased the Healing Oil Treatment. I have naturally curly and frizzy hair and a few years back I don't know what came over me but I decided to cut my mid-length hair to a length just above my shoulders. This wouldn't be a big deal if I were to wear my hair curly, but I was in a moment where I was straightening my hair all.the.time. My hair is light (fluffy, if you will), but coarse, which translated into me continually straightening my ends in order to get my desired look. Needless to say, my hair (particularly my ends) suffered. I was going for trims every few months, which is a lot for curly hair, and my hair is still taking a long time to grow out as a result. This product has helped me go back to curly. It made my hair shiny, smooth and my frizz a bit more manageable...and it smells amazing. I would put it both in the shower with my conditioner, and out of the shower when I would style it. It's a bit pricey, however, (retails for $39.95 for 4.2 oz) so I usually wait till I find it on sale, but it is a product worth investing in. I stumbled upon this By Terry Douceur de Rose purely by chance. It was on sale at my local winners for $15 dollars, while it originally retails for $60. I had heard about the brand through the famous, now retired, youtube beauty guru lollipop26. This 'comforting cleansing cream' smells purely of roses, and it will not give you the slightest chance of a lather, but this cream made my skin feel so clean and moisturised that it didn't matter. I'm not sure where you can directly buy this in Canada but keep your eyes peeled at your local Winners, or Marshalls if you're in the US. 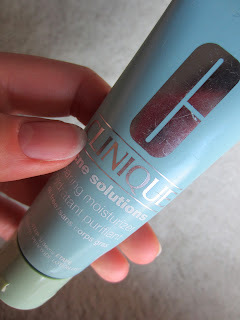 Now, the Clinique acne solutions clearing moisturizer was literally a Godsend after my first year of university. All the stress caused me to have severe breakouts, specifically on my forehead and cheeks. I had thought that my acne days were over since I had been acne free for more than two years after graduating from high school, but I was wrong. Very, very wrong. I had spoken to a specialist at the clinique counter and told her that I was specifically annoyed with the rough, bumpy texture on my forehead. She suggested the acne solutions clearing moisturiser as it contains benzoyl peroxide. It worked almost instantly. The tiny bumps on my forehead were clear within a couple of weeks, but I will give a word of warning, however. Terming it as a 'moisturiser' is very misleading. Your skin will get dry and develop dry patches, so after your skin begins to clear, try and find a routine that will let your skin cope with the burn of the benzoyl peroxide. Otherwise, it is one of my skin essentials when it comes to breakouts, plus it's very affordable at $22 CAD. hope you're all having a lovely summer! !